Do you have a coach or mentor? The reason I bring up having a mentor or coach is because a lot of us don’t ask for advice. My personal biggest fault is thinking I know enough and because that person is in a different industry, they won’t understand mine. You might be like me and think –“I don’t feel I can ask them for advice” or “I feel that they won’t know enough to advise me”, or “They wouldn’t want to help me”, or any other excuse you can possibly think of about asking for advice. We should always ask when we are not sure. And if anything(as it has been in my experience), is that when you do actually ask, the people are desperate to help you. And of course, you have to ask the right people and I strongly recommend you get yourself a mentor. In my humble opinion, a good solid mentor is going to be somebody that you know has been there, done that. Not necessarily in your business because what you would find is that, people with experience of business realize that it is a process. There are systems. All businesses work in a similar way. Say for instance, the senior management of Google as search engine could probably be dropped into Amazon to run it or WalMart or something like that because deep down the actual structure of business behind the scenes is very similar. I mean most of us, if you think of it, our business can be split into departments of finance, operations and marketing. Yeah, that’s how most business is run but we need advise. Once we stock in our own heads, we don’t get out and we don’t think outside the box. We don’t bring new ideas. We can’t see where we are going wrong. A lot of our staff won’t tell us because we are the boss, etc. so, I recommend you get to get yourself a mentor. Now, that mentor has to be someone you feel comfortable with. So, you don’t want someone that when they tell you information, you resent what they say. You want someone who can tell you comfortably and you can understand that they are trying to help you. They are not picking on you and they are not putting you down. They are not giving you wealth. Look, you have no idea what you’re doing. If I was doing it, it would be easy. They are trying to help you and you can also get yourself a business coach. Beware of lifestyle coaches ( I have said this many times before). Lifestyle coaches while there is nothing wrong with them, but you do not want to pick a lifestyle coach to be your business coach. A business coach again needs to be someone who can help you progress and understands business. Business is very, very, very different than your personal life (which is what a lifestyle coach helps you with). That business coach can be in another country. So, for instance, I’m in the U.K. or I have friends in the U.K. and in Canada. It doesn’t matter to me, all my coaches generally have been in America. It doesn’t make any difference when business is business. They don’t need to know about my taxes or accounting procedures in my country or anything like that. There’s nothing to do with it. It’s just the basics of business and they work as a sounding book. So, if I got ideas, this someone I can ask. It’s very lonely running a business. Even your spouse cannot really help you unless someone has been in the trenches. Day after day, understanding how this affects you, after hours. How staff problems affect you personally. If they haven’t done that, how could they possibly understand? So, get yourself a mentor, don’t be lonely, it could be anyone. Plan it. It could be me, I don’t actually offer that service but if somebody wanted it, if you want to ask me a question,, just shoot me an email at info@marketingforowners.com. Just say “Hey Jon, I have a question”. That will get to me. So, you can do that but that’s not the point of this. I personally have always had business coaches, and you know what? My business has progressed. I now have an accountability partner. Well, not an accountability partner but someone to be accountable to. I make myself accountable to them. Currently, I’m in the strategic coach program, that’s by Dan Sullivan and he’s in Canada, with a U.K. program. So, all the staffs, all the coaches is UK’s of financial adviser — there is no relation to my business. In fact, Peter, my coach there, is actually a member of strategic coach, not staff. That’s the way it works. If anyone is online, most of the successful entrepreneurs online are in strategic coach. They pay no affiliate, no referral, no nothing. Everyone recommends them, me included. I mean, the e-myth program, the e-myth mastery thing has been instrumental including my business. Strategic coaches are more for the entrepreneur, and the e-myth is for the person but also for the business structure. It’s a different thing. I love it. My first coach was John Jaworski and John is in Florida, in Key West. I’ve actually met him quite a few times at events in America. He’s a great guy and in fact, I sent him an email the other day and ask if we could just have a chat. He is no longer my coach. I’ve moved on but wow, he is just a fabulous guy. He is someone you can feel comfortable with and he has a nice voice which always helps for soothing people who feel a bit uncomfortable, but I know his business, I know what he’s done and as we’ve known each other for years, we help each other. That’s the great thing. People learn from each other about something. If you want someone like John, who is a great coach, this is what he does as a business, you want his details again, just email me. There is also a guy I worked with — David who was a consultant in our works. It was just part time but also a successful mentor. His work isn’t very large businesses. So, that’s why I recommend don’t be alone. This week, I recommend The Everything Store from Brad Stone. 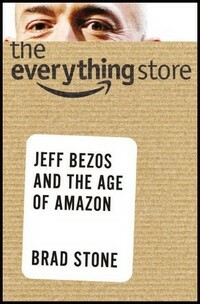 A very simple book, The Everything Store is the story about Amazon. It got a lot of press coverage when it came out. In fact, I read it when it came out. The way it’s built up and these things can give you ideas to plan yours. So, go and read The Everything Store by Brad Stone. He’s a nice guy, I’ve met him actually. So go read the book and get yourself a mentor. 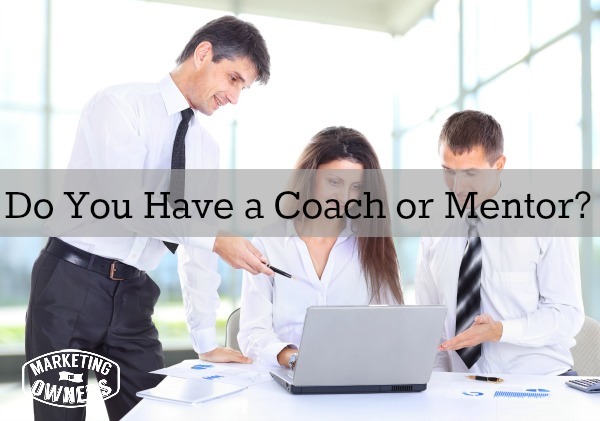 Who could you ask to be your business coach or mentor?